Together these guys have something magical on stage. They capture the audience from the very first minute until the last one. 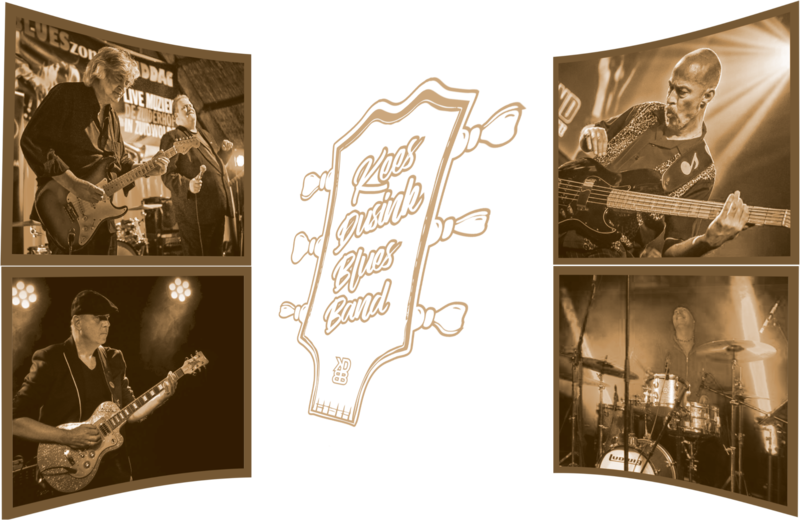 The KD Blues Band is formed around multiple Dutch Blues Award winner Kees Dusink. He has a recognizable and distinctive guitar sound that unmistakably is inspired by his all-time guitar hero Peter Green. 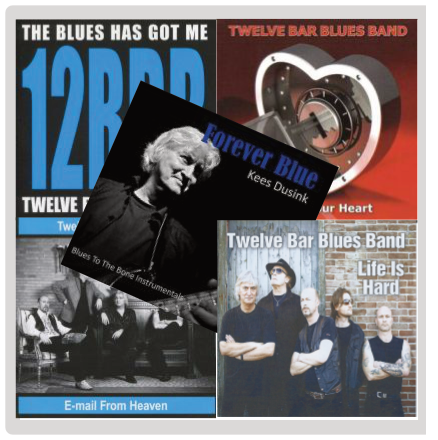 Kees was Lead&Slide guitarist and composer of The Twelve Bar Blues Band, which band belonged to the absolute top of the Dutch blues scene for many years. Recently award winning bass player Patrick "Sideburn" Obrist joined the band. For more than 10 years Patrick and Kees together played in the Twelve Bar Blues Band. This band won the Dutch Blues Award for Best Dutch Blues Band in 2011. Kees and Patrick together recorded 4 CD's and these guys can find each other blindly on stage. Rhythm guitarist of the band is Buzz Badweather. Buzz already played with Kees in the successful "The Blues Forever Project". This fully instrumental project delivered Kees' best sold Blues Album ever. Finally the band is completed with a real experienced drummer Frans Ogier. Frans is well known from The Rude Move and Jean Paul Rena Band. He is one of the most tastefull bluesdrummers in the Netherlands. Audience and bookers agree about one thing for shure.....the KD Blues Band captures the attention of the audience from the very beginning until the last minutes with a varied program. Tight Chicago shuffles, "Albert Collins" grooves, screaming slide-guitar and deeply moving ballads form the heart of the show. The band is heavily inspired by the British blues bands of the sixties, like john Mayalls Bluesbreakers and Fleetwood Mac. But the inspiration also comes from traditional American bluesmen like Freddie King, Albert King, Robert Johnson, Albert Collins and many others. In addition, many people will be very pleased to hear that the band also plays earlier own works that has been recorded with former bands of Kees and Patrick. Compositions of these bands are considered "too beautiful" to leave it in the archive. Besides that, the band is working very hard on new own written material. 50ties and 60ties with an own recognizable twist, the warm and bright "KD guitar tone". The band lets you swing, cry and lets you feel the real blues as it was mend to be. "Having visited Mississippi (Home of The Blues) many times and having listened to hundreds of blues bands, I have never heard a guitar player more in tune with the spirit of the blues than Kees Dusink. His work defines the word "tasty" and is capable of the most sensuous phrases, as well as perfect lines for jump blues and smokin' blues rock."